A local judge has ruled that a class action with more than 29,000 claimants against BHP Billiton over a 2015 Brazilian dam collapse that killed 19 people can proceed. 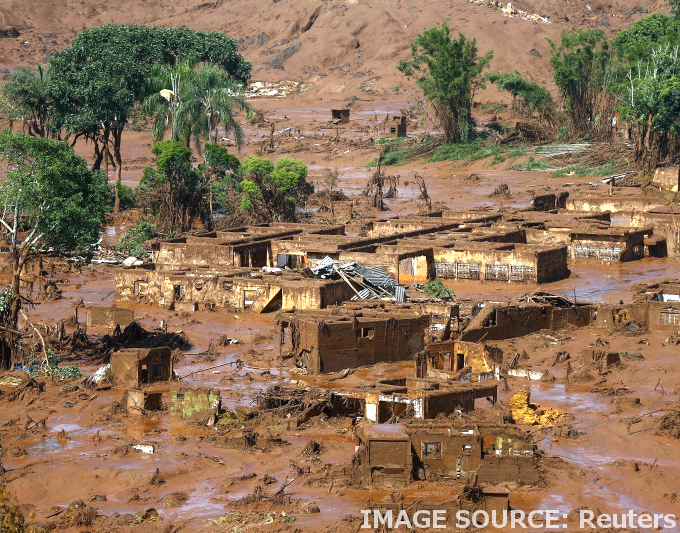 BHP faces allegations that company directors were, or should have been, aware of the risk of the dam collapse at the Samarco iron ore mine years before it happened. The company is also alleged to have failed to meet its disclosure obligations to the Australian stock exchange about the risks at any time before the deadly collapse on November 9, 2015. BHP is defending the claims. Federal Court Justice Mark Moshinsky ruled in Melbourne that the first proceeding by Vince Impiombato, which includes 29,610 shareholders, could proceed as the open class. It alleges BHP, which held a 50 per cent interest in the Samarco mining and mineral resource company, knew about issues of seepage and sinkholes in mid to late-2012. The spill wiped out the village of Bento Rodrigues, killing 19 people and displacing 700. Mud and debris ruined drinking water for hundreds of thousands of people, with contamination reaching all the way to the Atlantic Ocean. BHP has already paid out millions of dollars in compensation and remediation. A further multi-billion dollar class action involving 240,000 claimants was filed in the UK last month, and the company has already agreed to settle a US class action for $US50 million ($A70 million), without admission of liability.